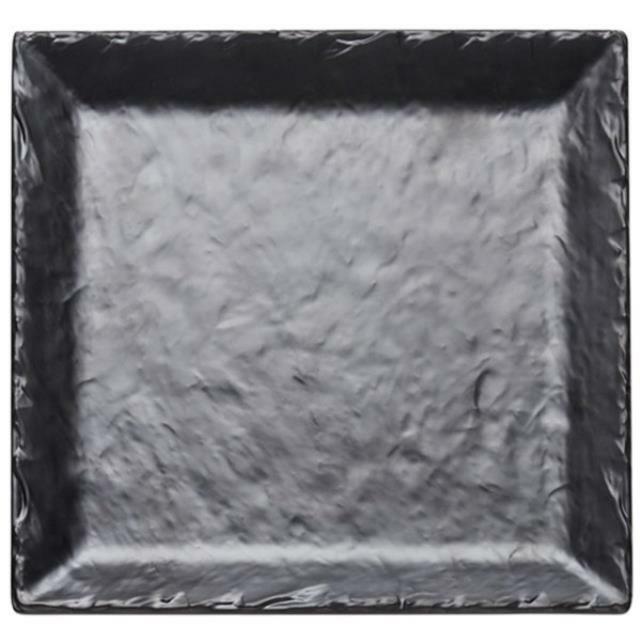 Rustic, refined, and exceptionally unique, 11 1/2" square faux slate platter with raised rim is ideal for showcasing a wide variety of options at your buffet or catered event. It provides a contemporary backdrop for all your artistic food innovations. Plus, its wide, raised rim helps to frame each dish and draw your guests' eyes toward your perfectly-plated, colorful foods. The rim provides a depth of 1". Both elegant with practical, this serving platter can be used for hot appetizers, hors d'oeuvres, cheeses, and breads. It's also equally adept at displaying confections at your bakery or cafe. The possibilities are endless with this eye-catching platter! * Please call us for any questions on our platter black faux slate 11.5 inch square rentals serving Corvallis OR, Albany OR, Salem OR and surrounding areas.